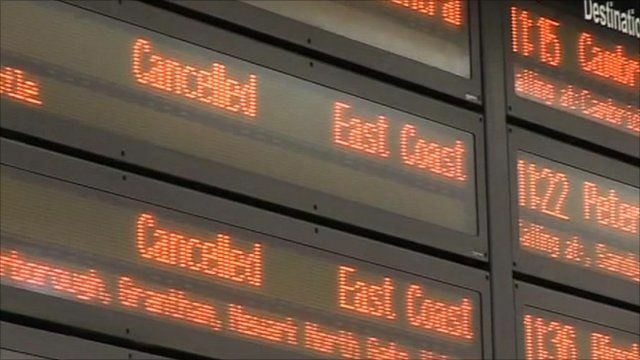 Bad day for UK train passengers Jump to media player Passengers at one of London's busiest railway stations were told to go home today after part of the East Coast mainline was shut. 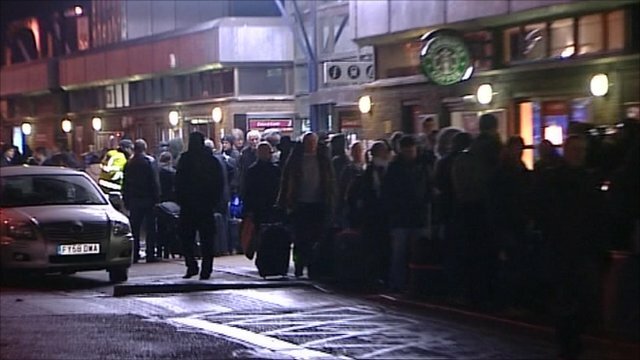 Passengers stranded at station Jump to media player Hundreds of commuters have been stranded at Peterborough station after the East Coast Mainline was suspended because of overhead cable problems. 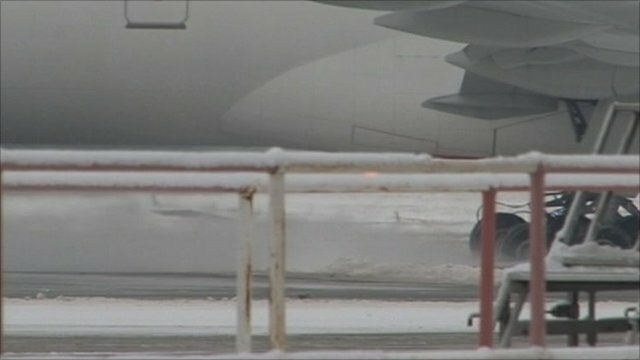 Plane gets stuck in verge near runway Jump to media player A Emirates Boeing 777 aircraft which was about to take off from Birmingham Airport got stuck as it taxied to the runway. 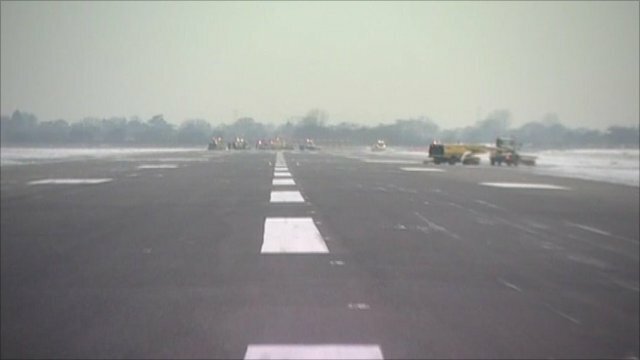 Heathrow's second runway opens Jump to media player The second runway at Heathrow Airport has finally reopened after being closed for four days. Passengers at one of London's busiest railway stations were told to go home today after part of the East Coast mainline was shut. Network Rail said it expected repairs on the East Coast to be completed overnight after problems with the power line between London and Peterborough. Eurostar says it plans to run what it calls a 'near normal' service tomorrow.